Another book, another tv series! 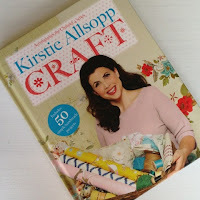 I enjoyed both the book and the tv series, I love kirstie allsopp for the same reasons I love nigella and cherry menlove; she is uber glam yet still down to earth, both could be 1950's housewifes and I love that - I want to be like that but I'm afraid I'm more like pony tail mum in jogger bottoms most of the time! I should start by saying that I adore everything in this book but I will force myself to select just a few to concentrate on. 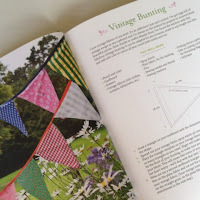 Since we decorated the 'nursery' now referred to as T's room, I have been meaning to make some bunting using these instructions, you never know I might just get it made soon! 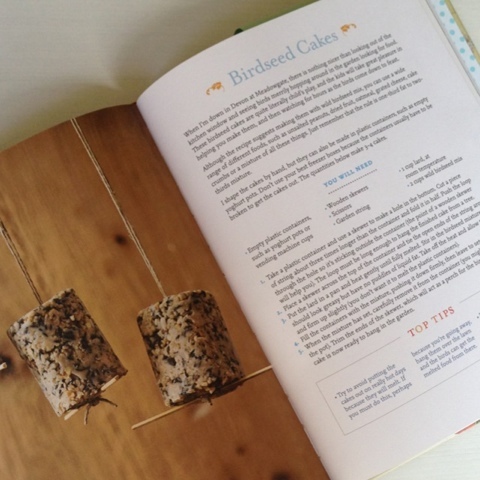 We've made birdseed cakes before with the older kids, but they never quite worked out, these are on our autumn bucket list to try again and we'll be following kirstie's instructions. 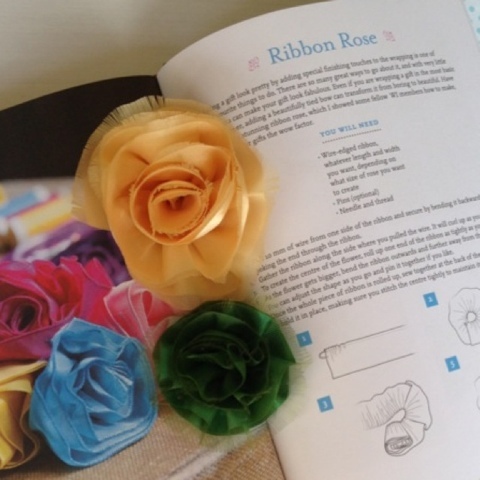 I made these ribbon roses after watching the tv show, in fact I made about 6 of them and use them on gifts. I forgot how much I like these and will be making them for christmas gifts this year. I used these on my spring mantle. I couldn't recommend this book more, if you've made anything from it I'd love you to put a link in comments so I can have a look!